“Being a responsible government, we will restore President’s House to what it once was,” he assured. Indarsingh indicated that Works and Transport Minister, Jack Warner, who is currently on FIFA business in South Africa, has asked the ministry’s permanent secretary to provide him with a report on the status of stabilisation works on President’s House. One week before the May 24 general election, a section of the roof on the building’s west wing, collapsed. 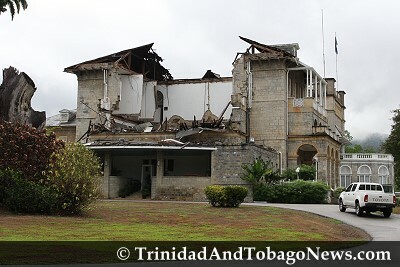 While Udecott initially moved in to stabilise President House, an order issued by former works minister Colm Imbert shifted the responsibility of those works to the ministry. Indarsingh said Warner will be handling the matter directly after he returns home from South Africa on Sunday. President George Maxwell Richards, who currently resides at the presidential cottage located close to President’s House, has declined an invitation from Prime Minister Kamla Persad-Bissessar to occupy the nearby Prime Minister’s official residence at La Fantasie. Former Prime Minister Patrick Manning moved out of the residence after the election and returned to his townhouse in San Fernando. 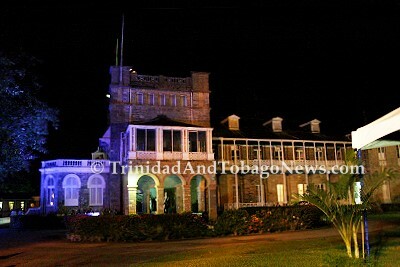 Persad-Bissessar has not moved into the residence to date.